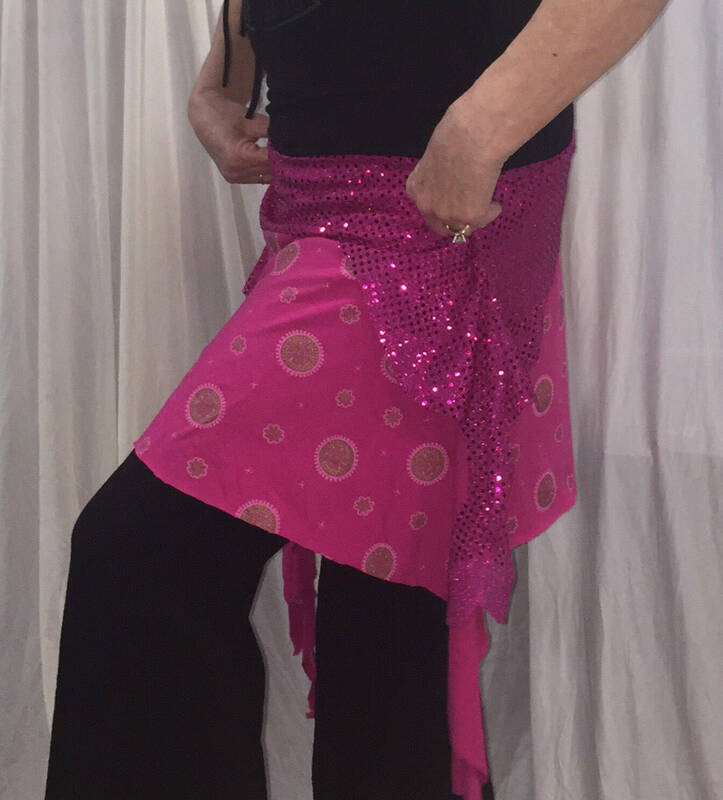 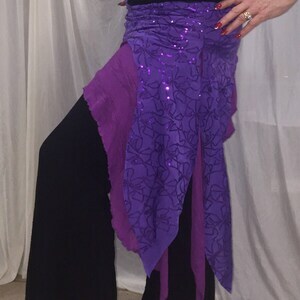 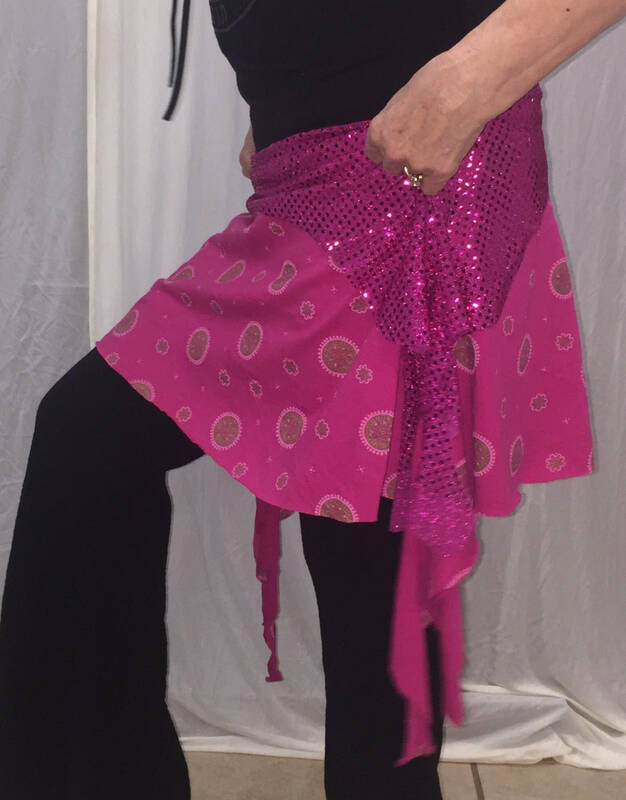 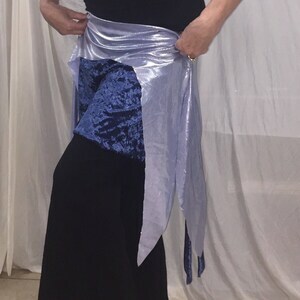 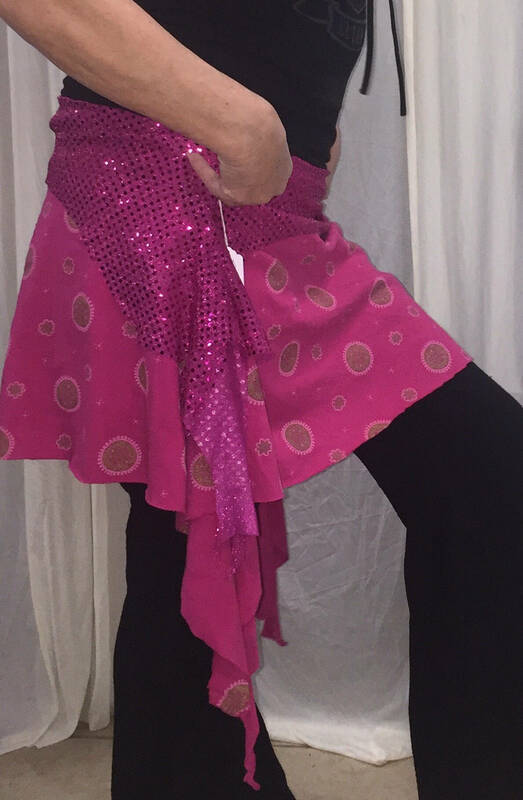 Tribal fusion bellydance glam overskirt for performing or practice. 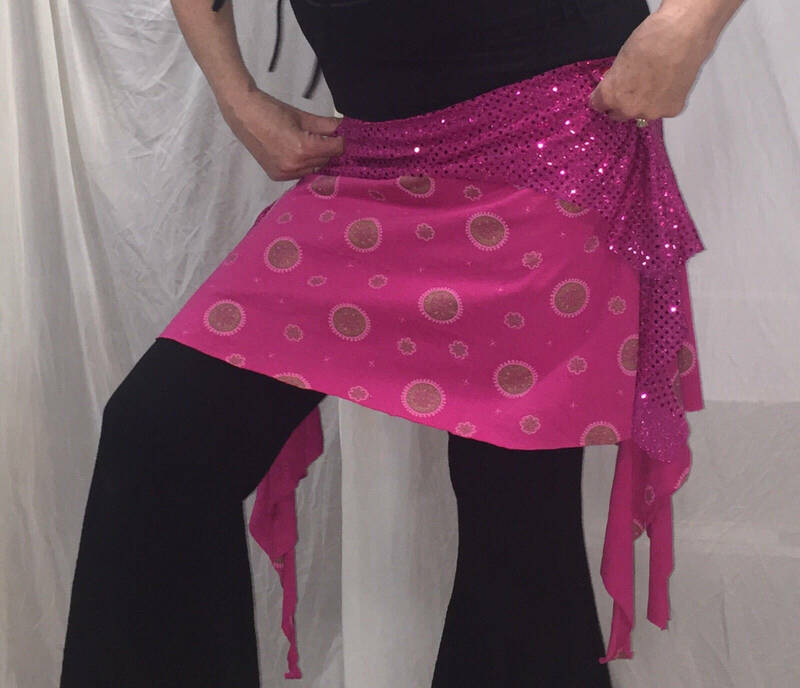 2 layers of hot pink. 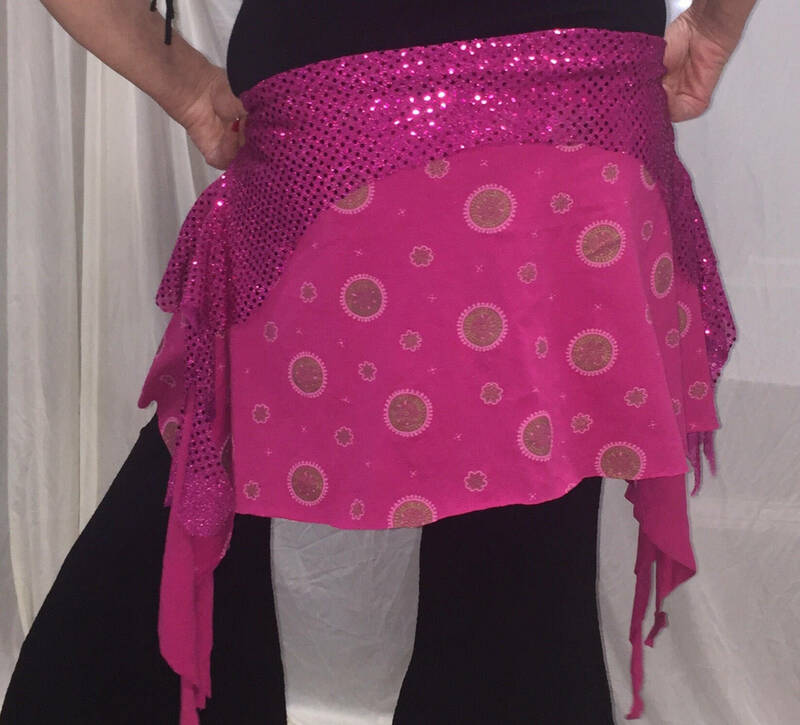 Stretch sequin metallic on top and doubleknit hot pink with stamped gold medallions on bottom layer. 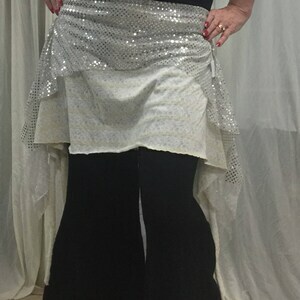 Fits 48-52” at hips, size XXL. 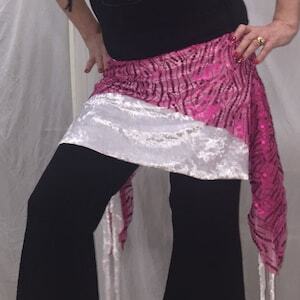 Get your glam on at practice.